When we find ourselves in a place of TOO MUCH, too much work, too much busy, too much anything we may also find that we have lost something. That something, is your connection to your SELF. The busy world is a given, we all live here. We also ALL have the choice, and on a very deep level the responsibility, to CALM DOWN. 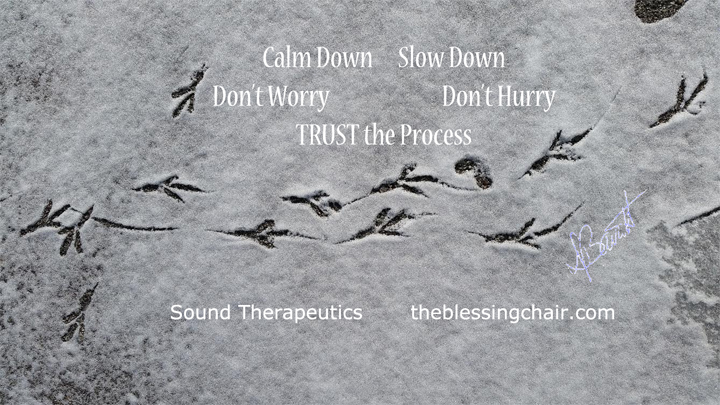 The Sound Therapeutics process is a gentle ushering in of Peace, from the inside out. A place to put down your burdens and JUST BREATHE. 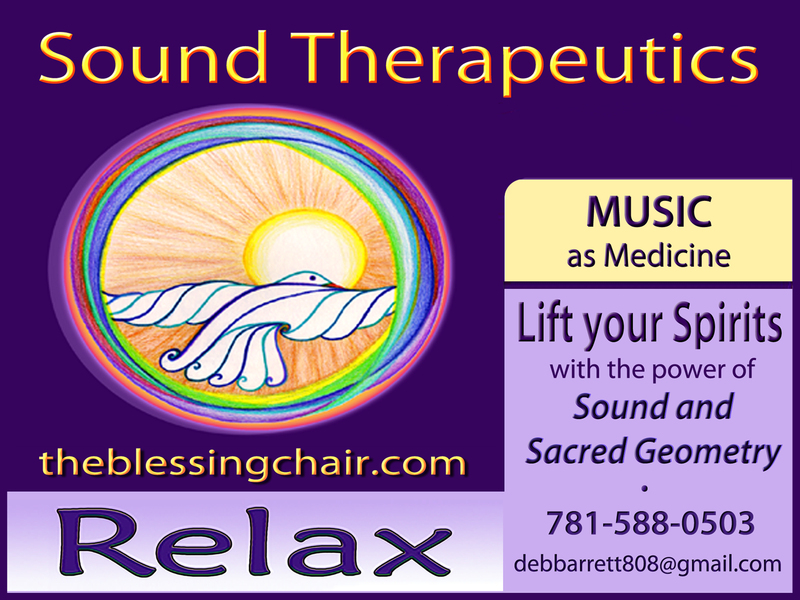 This is sound healing that clears the emotional body with deeply moving music. This is sound healing that clears the mental field balancing logic with creativity and the imagination. This is sound healing that allows you to move into a state of SELF KNOWING and personal empowerment. This is The Blessing Chair and it is waiting for you.